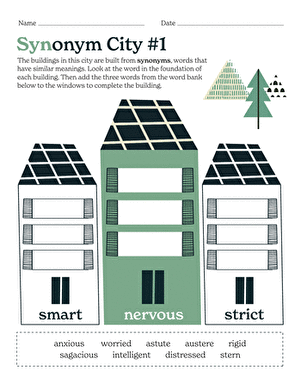 Synonyms are words that mean the same thing and can be used to make writing richer and less repetitive. Kids use this simple graphic organizer to find multiple synonyms for target words, expanding their vocabulary to improve writing. A blank web is included. 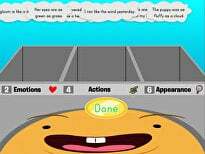 This synonym exercise will help students learn to think of many alternatives for one word and select the best one. Use this simple graphic organizer to map out a new word and explore it in depth. 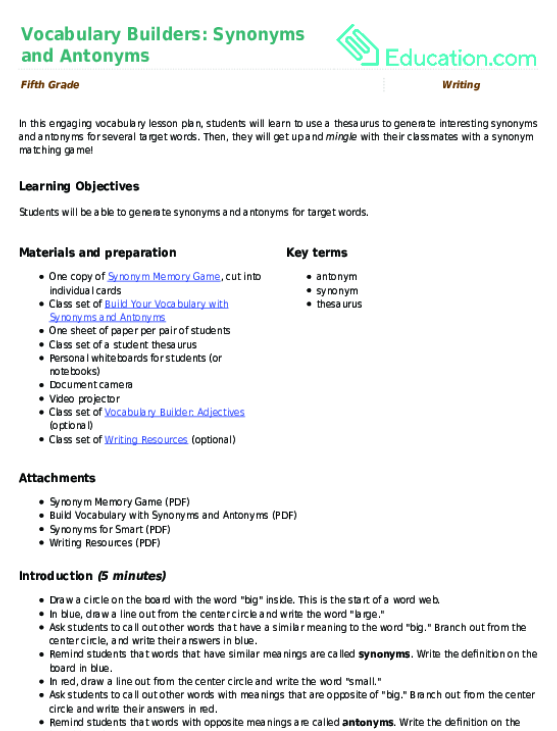 At the end of this activity, students will have made a web of vocabulary words! Help your child match emotion word synonyms, or words that have the same meaning, with this worksheet created by Education.com's Worksheet Generator. Then, they will get up and *mingle* with their classmates with a synonym matching game! Now that students understand the difference between a synonym and an antonym, have them solidify that knowledge with practise. Help your fifth grader practise vocabulary with this colorful synonym worksheet. Take on this challenging weather word scramble! Your child must use his logic and his knowledge of weather systems to figure out each word. With this worksheet, she'll learn 24 synonyms for the word "smart." 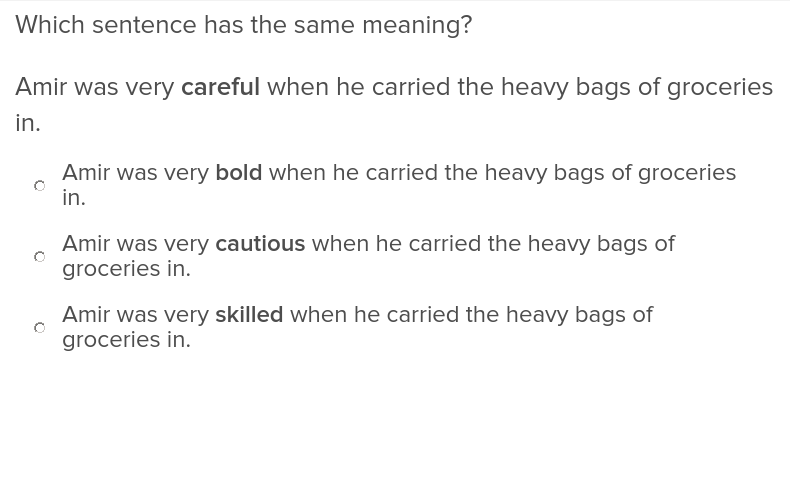 In this exercise, students will use critical thinking to identify the common word part in a series of words and, using their knowledge of vocabulary, deduce the meaning of the word part.